I don't know about you, but I never get tired reading what people are thankful for, or those extra pockets of gratitude. It warms my heart and reminds me how lucky, blessed and truly grateful I am for what I have. 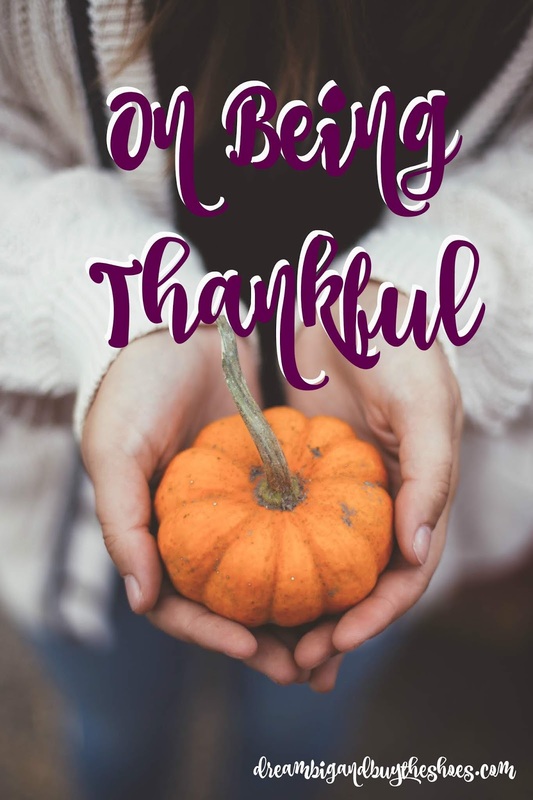 Being thankful doesn't always mean listing out what you're thankful for. It's waking up in the morning knowing you have a bed to sleep in and food to eat. Being thankful is having a career you enjoy and that makes you feel good on a daily basis. Being thankful is enjoying a warm meal after a long day with the ones you love. Being thankful is having a cell phone to text someone and see how they're doing. Being thankful is savoring the first bite of mashed potatoes on Thanksgiving. Being thankful is putting up your Christmas tree and enjoying the glow of the lights. Being thankful is the first gingerbread latte of the season. Being thankful is having a space like this to share my feelings, hopes, trials and dreams. See you back here Monday- be safe if you go out shopping Friday and please remember to Shop Small on Saturday...invest in your community and those around you.